This trip has just been awesome! Before, I have been a bit worried about the hikes but I am glad we made it! It was a great experience and I would recommend it to everybody. A great well organized and professional company. 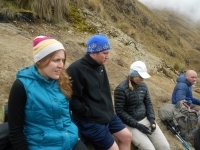 We really enjoyed the trip, especially trekking with the great group we had and the dedicated and passionate tour guide. The food was fantastic, really really good and impressive. I just finished the four day trek to Machu Picchu and it was one the most amazing experiences I have ever had!! 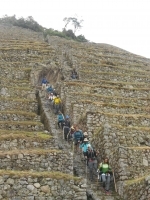 I was really nervous to sign up for this adventure, but Inca Trail Reservations made the process for my fiance and I seamlessly! 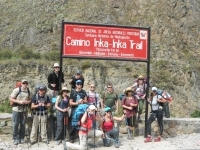 Hiking the Inca Trail was absolutely amazing! The second day was the hardest but completely gratifying. The third day was a breath taking experience through the amazon, and of course the fourth day was the reason I came... Machu Picchu... so surreal! Whilst the trekking was slightly easier than expected the whole trip lived up to the hype. Everyday was full of awesome sights and our guide Paul was very knowledgeable. 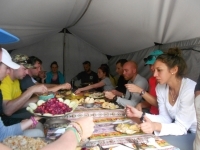 The chefs kept us full with nice food and the porters were quick to setup our camp. All the team was friendly and supporting. We waited a long time to take this trip, so we were extremely excited to be here. The briefing was helpful in making some last minute packing decisions, and gave us the opportunity to meet Paul and Marco. The bus ride to the trailhead was a little scary at times, but we made it. 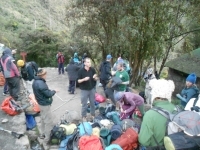 Highlights of the trip were the amazing people from the guides to the porters, absolutely amazing. Paul and Marco were fantastic and very knowledgeable. Aside from our arrival to Machu Picchu, day 3 was so beautiful, and Paul's storytelling was impeccable. They made it fun and even though I hiked very slow on day two they were very encouraging. 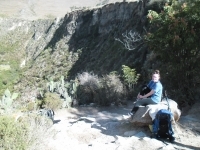 In booking this trek I was really nervous. I booked with my fiance and another couple that are really good friends. To say the least we all were not disappointed and although the hiking part was strenuous at times, it was all doable and we all went at our own pace. 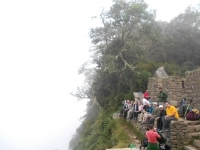 The Inca Trail was an amazing adventure thanks to Inca Trail Reservations! The food was tasty and the porters were friendly. 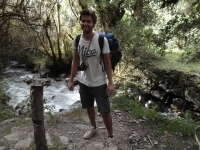 We had a really good time doing this trek, and it is definitely one of the highlights of my trip around South America! 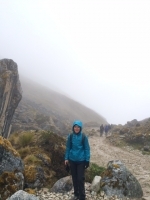 The Inca Trail was more than I had expected it to be. Although very challenging, it was one of the most worthwhile experiences of my life. 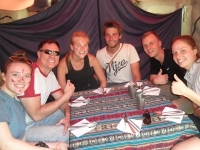 We had a very good chef who made amazing food, and porters with excellent service that exceeded expectations. Our guide helped us through every step, and spoke pretty well English.